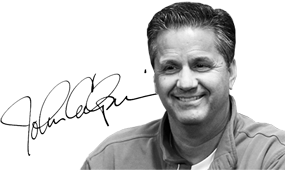 On Tuesday morning in Campton, Ky., a rural town in Wolfe County, Coach Cal gave his players a different lesson in leadership while giving back to those in need. Coach Cal and the Kentucky Wildcats joined Samaritan’s Feet at Campton Elementary School to deliver shoes and a message of hope. More than 450 students from Campton Elementary and Rogers Elementary School sat down at chairs in the gymnasium, had their feet washed by the players and coaches, and were given new shoes for the holiday season. 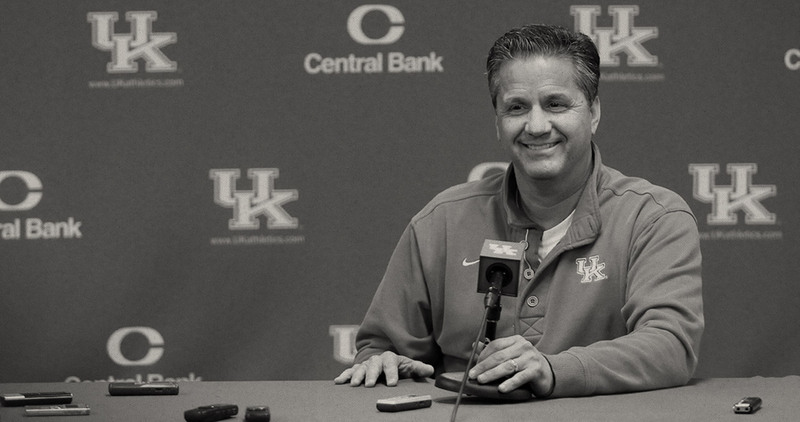 Whether it’s things like the UK Alumni Charity Game, the “Rebounding from Sandy” telethon or his foundation, Coach Cal finds ways to give back throughout the year. Tuesday was just another way of doing that during the holiday season, but it was also an opportunity to show his players how to lead. The children, who ranged between kindergarten and fifth grade, had the opportunity to talk with the players – the role models and heroes for many of the youngsters – and ask them questions while the Wildcats scrubbed their feet in soapy water and fitted them with new socks and shoes. Junior guard Jarrod Polson said some of the children were nervous and only asked a few questions, but he was confident the experience made their holiday season. Coach Cal started working with Samaritan’s Feet a couple of years ago after hearing the inspiring story of Manny Ohonme, the CEO and founder of Samaritan’s Feet. Ohonme grew up in Lagos, Nigeria, counting very few things in his possessions, including tennis shoes, hopes and dreams. That all changed for Ohonme more than 28 years ago when a stranger from Wisconsin befriended him and gave him a pair of shoes. The goal of Samaritan’s Feet is to put 10 million pairs of shoes on the feet of 10 million orphans and impoverished children across the world. 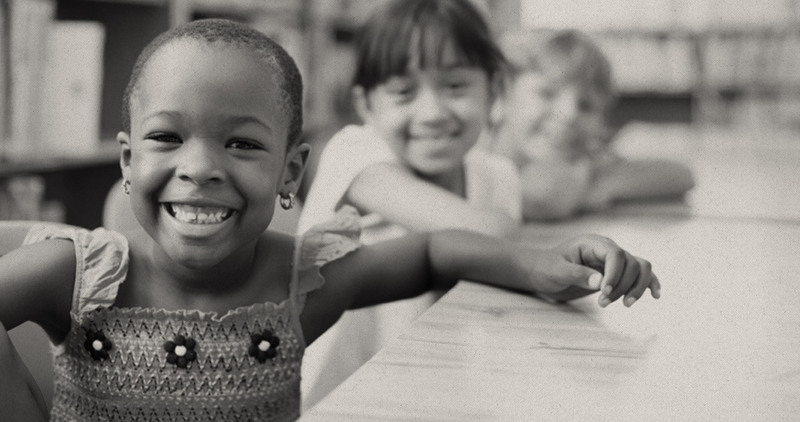 Since 2003, Samaritan’s Feet has been able to help more than five million children in 65 countries and 285 communities across America. Coach Cal and his team have actively been a part of the effort. Two years ago they washed feet and provided shoes to a community in Detroit, and Calipari donated $25,000 to the non-­‐profit humanitarian aid organization this past summer after the UK Alumni Charity Game. Calipari said Tuesday’s stop at Campton was just another way to teach his players that they’ve been put in a position to help others. Tuesday wasn’t the only day the Cats will be giving back for Christmas. On Wednesday from 10:30 to 11:30 a.m., Calipari and the players will be at three different locations in Lexington to collect coats for the Calipari Foundation’s “Cal’s Coats for Kids” drive. Anyone in the Lexington area that has a new or gently used coat can drop one off at Man O’ War Harley-­‐Davidson or the Wildcat Wearhouse locations at Fayette Mall and in Hamburg. The coats will go to the Salvation Army, which will find Lexington area families in need of them. Then on Thursday, Calipari and his players will deliver gift baskets to 10 select families across Lexington who could use a hand for the holiday season. The basket will include a gift card from Kroger to buy a Christmas turkey and other food items, new shoes from Nike, T-­‐shirts and sweatshirts from Wildcat Wearhouse, gift cards to Wal-­‐Mart to purchase Christmas gifts for the children, and a check for rent. Coach Cal has been delivering the gift baskets to less fortunate families since arriving at UK. Cindy Richardson, the mother of former Kentucky star and current Charlotte Bobcat Michael Kidd-­‐Gilchrist, said her son was always raised to serve others, but his time at Kentucky last season afforded him the opportunity to do more from a position of power. Richardson said the position Kidd-­‐Gilchrist was put in last year inspired him to continue his charity work in the NBA. Kidd-­‐Gilchrist actually tapped into Calipari’s charity work with Papa John’s and has instituted a similar program in Charlotte this year. He’s also partnering with Big Brothers Big Sisters for an event on Sunday, and he’s donating 125 uniforms and backpacks for a recreational league team on Tuesday night. With experiences like this week, Calipari is hoping this year’s players will gain the same understanding.